We have placed our maltipoo puppies for sale in loving homes all over the United States, Canada, and we even have a couple maltipoo puppies abroad. However, we noticed that we have consistently sold maltipoo puppies to families from California. It is our hope that our name will begin to spread from family to family throughout the state of California, and that many people looking for maltipoo puppies for sale in California will find our website on the search engines. We hope that California families will take time to view our website, look over our maltipoo puppies for sale, and give us a call to discuss our maltipoo puppies. 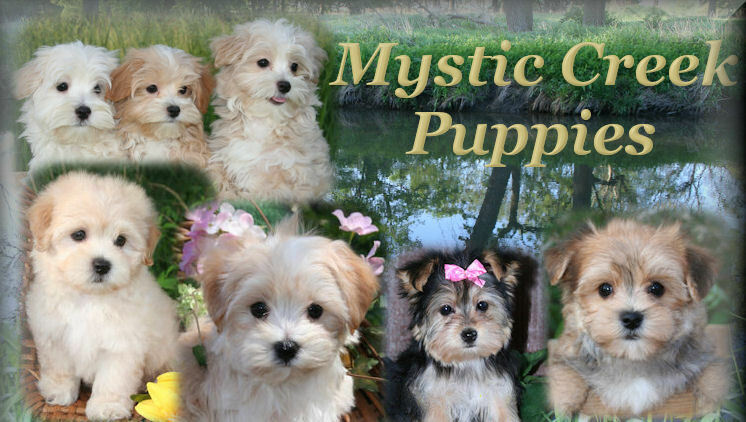 We are happy to take photos or video clips of our maltipoo puppies for sale if you are unable to visit. Nico is still doing terrific! He's been fully potty trained for awhile now, and we've taught [our maltipoo puppy] to ring a bell when he needs to go outside. He continues to be playful, loving, and just a pure joy to have around. It's been so nice to have an easy going [maltipoo puppy], who loves to be with people, and easy to travel with. We currently have maltipoo puppies in San Diego, Danville, Los Angeles, Santa Monica, San Francisco, and Yorba Linda. We would like to find many other California families that are wanting to include a maltipoo puppy in their family. Anyone from California that has adopted one of our maltipoo puppies for sale can send us photos of their maltipoo puppy and a few comments on their experiences with their maltipoo puppy or in dealing with us, and we'll be happy to post those photos and comments on our Customer Comments page.